The countryside surrounding The Inn at Brough is absolutely steeped in history and abounds in historic towns and villages, ancient monuments and museums. There are masses of attractions and activities for the visitor within a half-hour drive of The Inn, often on deserted roads. Brough is ideal as a centre for walking, cycling and driving through the beautiful Eden Valley and its surrounding hills and fells and is within easy reach of the North York Moors, the Yorkshire Dales, the Lake District, the County Palatinate of Durham and Hadrian's Wall. The Eden Valley has a major advantage in not being crowded with tourists. We have arranged the places to visit in order of distance from Brough. Rather than replicate other websites we offer a short introduction to each item and a link to their own website which you will find in the 'Contact' section. string(375) "No stay in the North of England would be complete without a visit to the amazing remains of Hadrian's wall, the nearest section being only about 30 miles from The Inn at Brough through some splendid wild countryside. Follow the links below to for more details. We will be adding individual entries for the most fascinating places to visit along the wall as time allows. 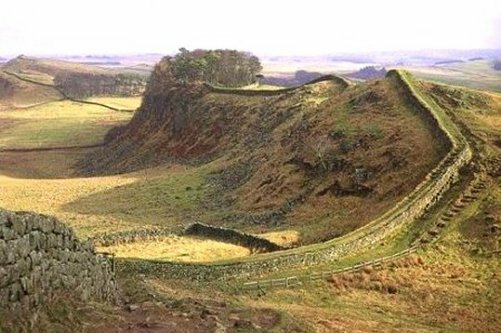 No stay in the North of England would be complete without a visit to the amazing remains of Hadrian's wall, the nearest section being only about 30 miles from The Inn at Brough through some splendid wild countryside. Follow the links below to for more details. We will be adding individual entries for the most fascinating places to visit along the wall as time allows. string(517) "Idealy located in the Upper Eden Valley close to the Yorkshire Dales National Park and the North York Moors there are some fantastic walks all accessible from The Inn at Brough. The Lady Anne Way passes through Brough and the famous Coast to Coast walk passes through Kirby Stephen (4 miles from Brough) - we can make arrangements for you to be picked up from there if you would like to stay with us. Walks in the Lakes & Dales - Visit "Where to Walk"
Idealy located in the Upper Eden Valley close to the Yorkshire Dales National Park and the North York Moors there are some fantastic walks all accessible from The Inn at Brough. The Lady Anne Way passes through Brough and the famous Coast to Coast walk passes through Kirby Stephen (4 miles from Brough) - we can make arrangements for you to be picked up from there if you would like to stay with us. string(427) "Cumbria Classic Coaches runs classic vintage half-cab buses and coaches. They operate three timetabled service routes, from Brough to Kendal, Kirkby Stephen to Barnard Castle and seasonally from Kirkby Stephen to Hawes as well as a number of 'Heritage' routes. They are a great day out and a visit to their depot is not to be missed by any vintage vehicle fans as is the commercial vehicle rally held in Brough each Easter. 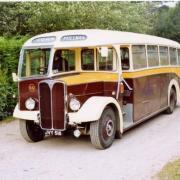 Cumbria Classic Coaches runs classic vintage half-cab buses and coaches. They operate three timetabled service routes, from Brough to Kendal, Kirkby Stephen to Barnard Castle and seasonally from Kirkby Stephen to Hawes as well as a number of 'Heritage' routes. They are a great day out and a visit to their depot is not to be missed by any vintage vehicle fans as is the commercial vehicle rally held in Brough each Easter. string(325) "The Eden Valley Railway Trust is based at Warcop Station about four miles from The Inn at Brough along the A66 towards Penrith. The railway line between Warcop and Appleby-in-Westmorland is being restored and there is now approximately two miles of track in running order. A visit is a must for all railway enthusiasts. string(35) "Distance approximately 3 miles. The Eden Valley Railway Trust is based at Warcop Station about four miles from The Inn at Brough along the A66 towards Penrith. The railway line between Warcop and Appleby-in-Westmorland is being restored and there is now approximately two miles of track in running order. A visit is a must for all railway enthusiasts. string(552) "Kirkby Stephen is a thriving market town approximately 4 miles west of The Inn at Brough along the A685. A small hamlet in Brough's hayday in the 16th, 17th and early 18th centuries it burgeoned into growth when the "wise men" of Brough decided that they did not want the new fangled railway going through their town. Before Beechings axe fell Kirkby Stephen had two railway stations but onle one remains in use, the other is now a museum. The Coast to Coast route runs through the town. Links to these can be found on our main "Things to do" page. Kirkby Stephen is a thriving market town approximately 4 miles west of The Inn at Brough along the A685. A small hamlet in Brough's hayday in the 16th, 17th and early 18th centuries it burgeoned into growth when the "wise men" of Brough decided that they did not want the new fangled railway going through their town. Before Beechings axe fell Kirkby Stephen had two railway stations but onle one remains in use, the other is now a museum. The Coast to Coast route runs through the town. Links to these can be found on our main "Things to do" page. string(452) "In 1962 the Workington to Darlington line was axed by Beeching and closed to passengers. It finally closed to freight in 1974 and Kirkby Stephen East station remained derelict until it was purchased by Stainmore Properties Ltd. It has been developed as a Heritage Centre over the years by Stainmore Railway Company volunteers and now has an operational railway which welcomes visitors at weekends. You will find additional links on their website. string(58) "Distance approximately 5 miles from The Inn at Brough. In 1962 the Workington to Darlington line was axed by Beeching and closed to passengers. It finally closed to freight in 1974 and Kirkby Stephen East station remained derelict until it was purchased by Stainmore Properties Ltd. It has been developed as a Heritage Centre over the years by Stainmore Railway Company volunteers and now has an operational railway which welcomes visitors at weekends. You will find additional links on their website. string(832) "The Carlisle to Settle Railway is one of the few almost original examples left of the great Victorian Railway system. It was saved from closure in 1989 and a trust formed to preserve and restore the historic stations and viaducts along its route. The most beautiful sectiion of the line is easily accessed from Brough by taking the A685 for 6 miles through Kirkby Stephen to the old Kirkby Stephen West station on the other side. It is in regular use as part of the national railway network and runs from Carlisle in the north to Leeds in the south but by far the most outstanding section is Kirkby Stephen to Settle. If you are staying with us in Brough it is well worth a day trip out and you will be helping preserve an important part of our heritage. If you are lucky you will get to ride on the occasional steam trains. string(58) "Distance approximately 6 miles from The Inn at Brough. The Carlisle to Settle Railway is one of the few almost original examples left of the great Victorian Railway system. It was saved from closure in 1989 and a trust formed to preserve and restore the historic stations and viaducts along its route. The most beautiful sectiion of the line is easily accessed from Brough by taking the A685 for 6 miles through Kirkby Stephen to the old Kirkby Stephen West station on the other side. It is in regular use as part of the national railway network and runs from Carlisle in the north to Leeds in the south but by far the most outstanding section is Kirkby Stephen to Settle. If you are staying with us in Brough it is well worth a day trip out and you will be helping preserve an important part of our heritage. If you are lucky you will get to ride on the occasional steam trains. string(785) "Appleby-in-Westmorland lies approximately 8 miles from The Inn at Brough along the A66 towards Penrith. Once the county town, was given the old name of the county in 1974 after the uneccesary renaming of the counties. It is a thriving ancient market town with shops, pubs and restaurants. Appleby developed as the main market town of Westmorland after the Norman Conquest. It has kept its old world charm and the Main Street, mainly dating from the 17th and 18th and 19th centuries is almost unspoilt by the passage of time. There are numerous old and historically interesting buildings in and around the town. The tourist information office at the bottom of Boroughgate is well worth a visit to find local places of interest. The riverside provides excellent short quiet walks. string(110) "Each year in June Appleby hosts the Horse Fair when the town fills with caravans, horses and travellers. Appleby-in-Westmorland lies approximately 8 miles from The Inn at Brough along the A66 towards Penrith. Once the county town, was given the old name of the county in 1974 after the uneccesary renaming of the counties. It is a thriving ancient market town with shops, pubs and restaurants. 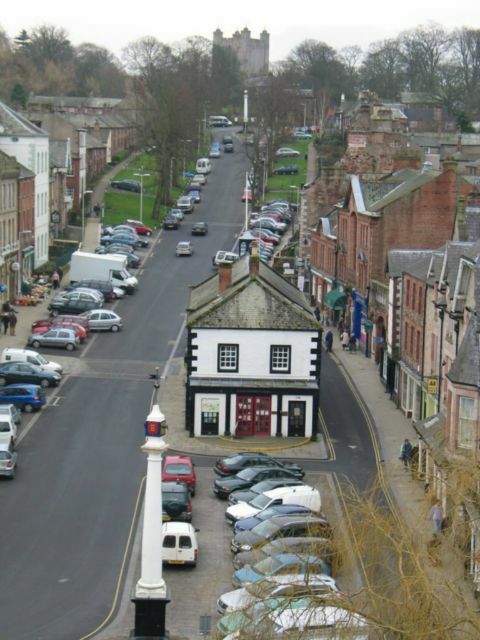 Appleby developed as the main market town of Westmorland after the Norman Conquest. It has kept its old world charm and the Main Street, mainly dating from the 17th and 18th and 19th centuries is almost unspoilt by the passage of time. There are numerous old and historically interesting buildings in and around the town. The tourist information office at the bottom of Boroughgate is well worth a visit to find local places of interest. The riverside provides excellent short quiet walks. string(567) "Appleby Castle  is a spectacular motte and bailey castle with one of the few remaining intact Norman keeps. It dates back to an earthwork fortification in the 9th century and the keep was probably built in the early 11th century. It was once held by the Kings of England and, when the North was invaded and occupied by the Scots it was held for a time by the Kings of Scotland. Lady Anne Clifford, who owned Brough Castle amongst others, and for whom our top luxury suite is named, also resided there. Closed for many years it is now open again to the public. 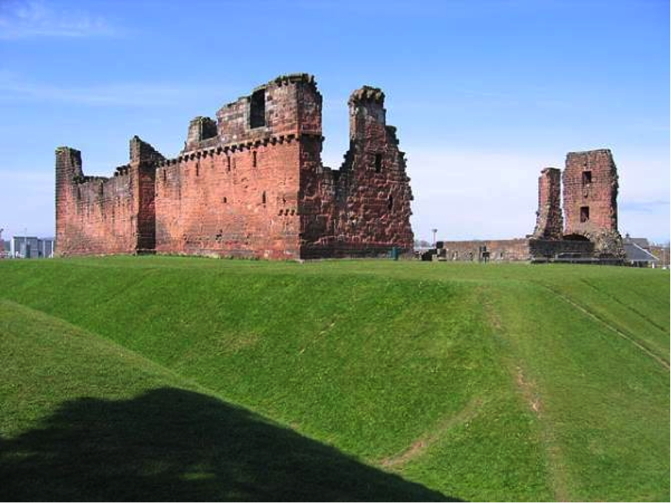 Appleby Castle is a spectacular motte and bailey castle with one of the few remaining intact Norman keeps. It dates back to an earthwork fortification in the 9th century and the keep was probably built in the early 11th century. It was once held by the Kings of England and, when the North was invaded and occupied by the Scots it was held for a time by the Kings of Scotland. Lady Anne Clifford, who owned Brough Castle amongst others, and for whom our top luxury suite is named, also resided there. Closed for many years it is now open again to the public. string(439) "Bessy Beck Trout Fishery is situated at the foot of the Howgills some 10 miles from The Inn at Brough just off the A685 through Kirkby Stephen. The fish farm produces some of the best rainbow trout in Cumbria and caters for all levels of experience and ability. For a less strenuous day out it is well worth a visit. string(92) "Distance approximately 10 miles. Bessy Beck Trout Fishery is situated at the foot of the Howgills some 10 miles from The Inn at Brough just off the A685 through Kirkby Stephen. The fish farm produces some of the best rainbow trout in Cumbria and caters for all levels of experience and ability. For a less strenuous day out it is well worth a visit. 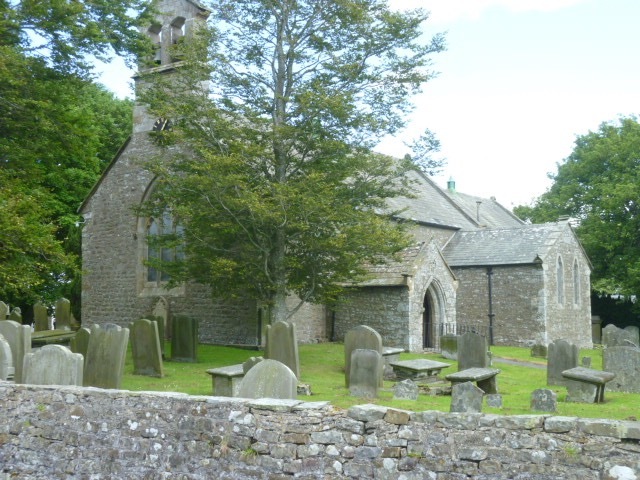 string(360) "The church stands in the tiny hamlet of Bowes about 13 miles east along the A66 from The Inn at Brough and originally dates from the mid 12th century with additions made in the 13th and 14th centuries. The graveyard contains many headstones and graves dating from the 18th centuries and is the resting place of one of Charles Dickens' famous characters. string(467) "The grave of William Shaw, the headmaster of Shaw's Acadamy in Bowes, whom Dickens is said to have used as the model for Wackford Squeers the headmaster in Nicholas Nickleby, lies in the NE corner of the graveyard of the Church. In the SE corner is the grave of George Ashton Taylor who died while a pupil at the acadamy. Dickens believed it was on this spot, beneath a Yew tree, that he conceived of the idea of Smike, the boy who ran away from Dotheboys Hall. string(289) "Bowes like Brough stands on the old Stainway, one of the few passable East to West routes across the Pennines, and is a beautifully peaceful spot. St Giles' Church is a Grade II listed building but like many now seems to be always locked preventing visitors from enjoying our heritage. The church stands in the tiny hamlet of Bowes about 13 miles east along the A66 from The Inn at Brough and originally dates from the mid 12th century with additions made in the 13th and 14th centuries. The graveyard contains many headstones and graves dating from the 18th centuries and is the resting place of one of Charles Dickens' famous characters. string(581) "Bowes lies about 13 miles east along the A66 from The Inn at Brough and , like Brough, stands on the old Stainway, used from prehistoric times as one of the few passable East to West routes across the Pennines. As a consequence many of the hamlets along its path were fortified by the original inhabitants and then by the Romans, the Normans and later the English. The impressive ruins of Henry II's 12th century keep stand on the site of the Roman fort of Lavatris which guarded the approach to the strategic pass and was occupied from the 1st to the late 4th century. string(265) "Bowes Castle was built between 1171 and 1187. By the 17th century it had become redundant. It was owned by the Ministry of Works until it was handed over to English Heritage. 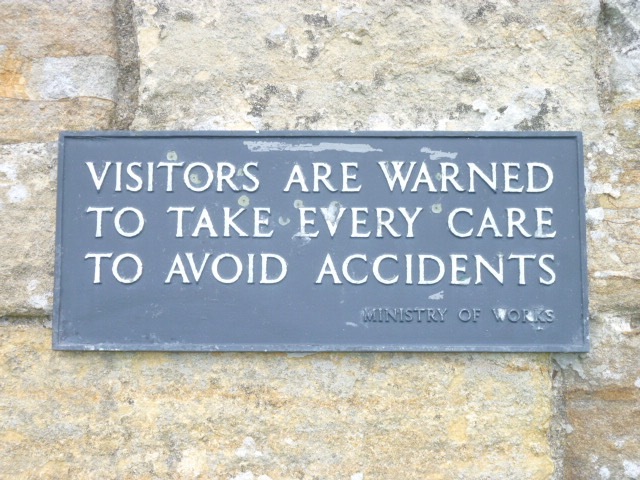 The simple sign below from before the nanny state took over displays a nice brevity. Bowes lies about 13 miles east along the A66 from The Inn at Brough and , like Brough, stands on the old Stainway, used from prehistoric times as one of the few passable East to West routes across the Pennines. As a consequence many of the hamlets along its path were fortified by the original inhabitants and then by the Romans, the Normans and later the English. The impressive ruins of Henry II's 12th century keep stand on the site of the Roman fort of Lavatris which guarded the approach to the strategic pass and was occupied from the 1st to the late 4th century. string(822) "Middleton-in-Teesdale is a small market town about 14 miles from The Inn at Brough along a back road through the amazing countryside of the North York moors. 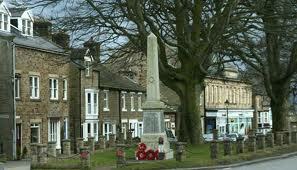 The town is surrounded by the North Pennines Area of Outstanding Natural Beauty. Middleton-in-Teesdale expanded in the early 19th century when the London Lead Company moved its northern headquarters there from Blanchland in Northumberland. Much of the architecture from its days as a company town remains visible. Middleton served as the terminus of a railway line from Barnard Castle until it was closed as part of the Beeching vandalisation of the railways in the 1960’s. This pretty town is well worth a visit. The drive over the moors from Brough is spectacular with some amazingly beautiful views. Middleton-in-Teesdale is a small market town about 14 miles from The Inn at Brough along a back road through the amazing countryside of the North York moors. 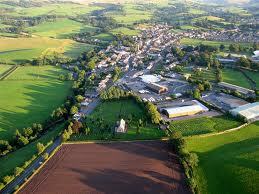 The town is surrounded by the North Pennines Area of Outstanding Natural Beauty. Middleton-in-Teesdale expanded in the early 19th century when the London Lead Company moved its northern headquarters there from Blanchland in Northumberland. Much of the architecture from its days as a company town remains visible. Middleton served as the terminus of a railway line from Barnard Castle until it was closed as part of the Beeching vandalisation of the railways in the 1960’s. This pretty town is well worth a visit. The drive over the moors from Brough is spectacular with some amazingly beautiful views. string(330) "Bowes Museum is approximately 15 miles from The Inn at Brough just outside the lovely old town of Barnard Castle. It's an amazing French château in the heart of the County Palatinate of Durham and housesoutstanding award winning collections of European fine and decorative art. The Museum is open daily except at Christmas. 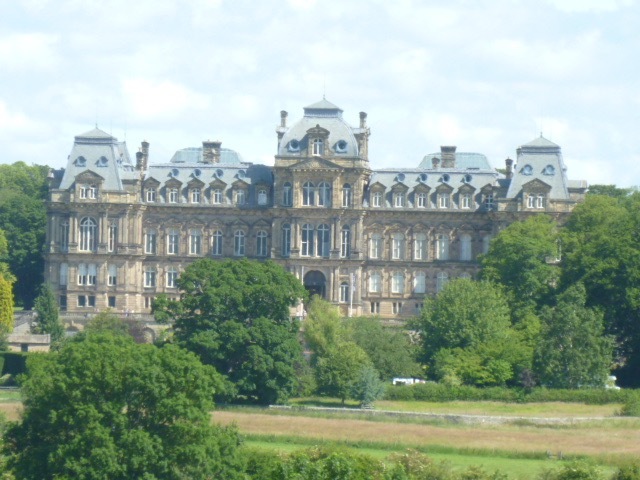 Bowes Museum is approximately 15 miles from The Inn at Brough just outside the lovely old town of Barnard Castle. It's an amazing French château in the heart of the County Palatinate of Durham and housesoutstanding award winning collections of European fine and decorative art. The Museum is open daily except at Christmas. string(611) "Barnard Castle is a thriving ancient Market town some 18 miles east of The Inn at Brough. The castle, from which the town takes its name, is set on a high rock above the River Tees and once belonged to Richard III whose boar emblem is carved above a window in the inner ward. An octagonal building stands In the centre of the town, the Market Cross known locally as the ‘Butter Market’, it was built by Thomas Breaks and given to the town in 1747. Two bullet holes in the weather vane are reputed to be the result of a shooting competition between a volunteer soldier and a local gamekeeper in 1804. 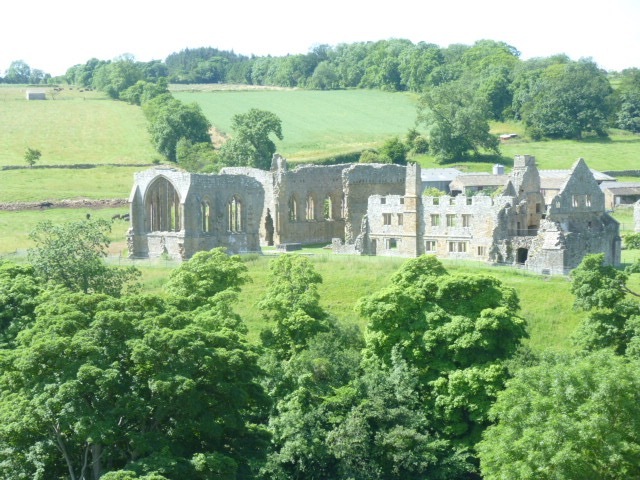 Barnard Castle is a thriving ancient Market town some 18 miles east of The Inn at Brough. The castle, from which the town takes its name, is set on a high rock above the River Tees and once belonged to Richard III whose boar emblem is carved above a window in the inner ward. 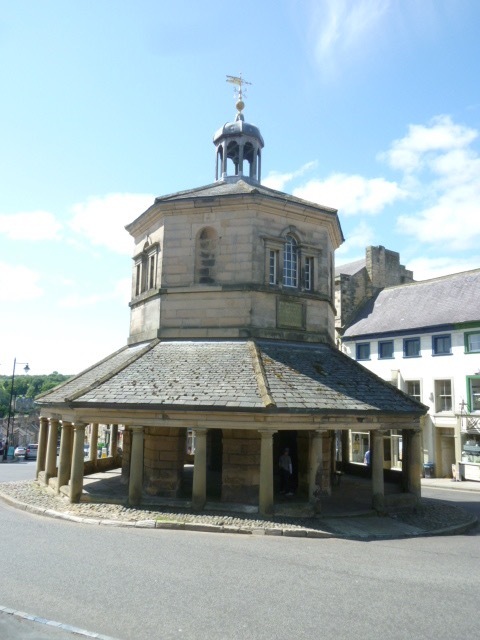 An octagonal building stands In the centre of the town, the Market Cross known locally as the ‘Butter Market’, it was built by Thomas Breaks and given to the town in 1747. Two bullet holes in the weather vane are reputed to be the result of a shooting competition between a volunteer soldier and a local gamekeeper in 1804.
string(425) "The castle, one of the largest in the North of England, is set on a high rock above the River Tees overlooking the town of the same name approximately 18 miles from The Inn at Brough. Barnard Castle takes its name from its 12th century founder, Bernard de Balliol. It was later developed by the Beauchamp family and then passed into the hands of Richard III whose boar emblem is carved above a window in the inner ward. 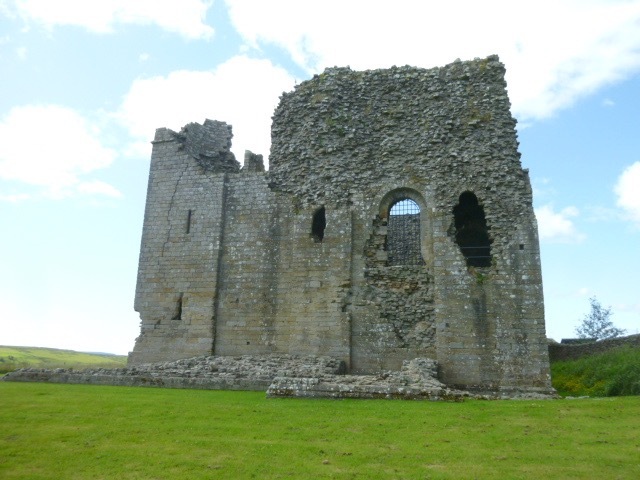 The castle, one of the largest in the North of England, is set on a high rock above the River Tees overlooking the town of the same name approximately 18 miles from The Inn at Brough. 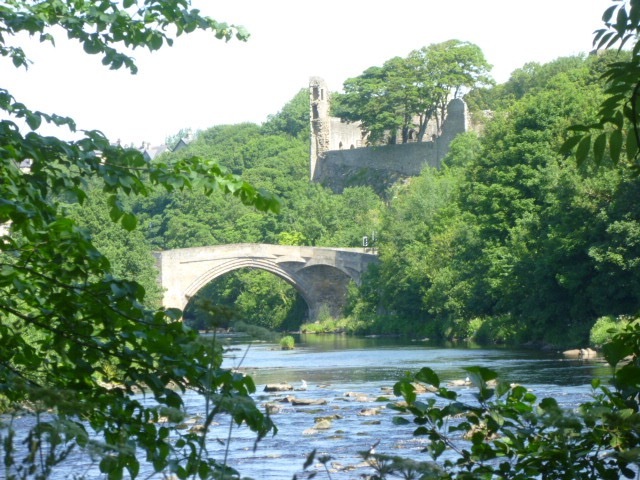 Barnard Castle takes its name from its 12th century founder, Bernard de Balliol. It was later developed by the Beauchamp family and then passed into the hands of Richard III whose boar emblem is carved above a window in the inner ward. string(705) "About 18 miles from The Inn at Brough the beautiful ruins of Egglestone Abbey lie 1 mile south of Barnard Castle, on a minor road off the B6277. The abbey of St Mary and St John the Baptist was founded between 1195 and 1198 for Premonstratensian canons by the de Moulton family, whose title passed to the Dacres by marriage in 1314. The endowment of Egglestone was so small that early in the 13th century the status of the abbey was nearly reduced to that of a priory. It remained an abbey, but poverty beset the canons throughout their history. They suffered particularly when the Scots ravaged Yorkshire in 1315 and at other times of war, receiving frequent remissions of taxes to maintain them. About 18 miles from The Inn at Brough the beautiful ruins of Egglestone Abbey lie 1 mile south of Barnard Castle, on a minor road off the B6277. The abbey of St Mary and St John the Baptist was founded between 1195 and 1198 for Premonstratensian canons by the de Moulton family, whose title passed to the Dacres by marriage in 1314. The endowment of Egglestone was so small that early in the 13th century the status of the abbey was nearly reduced to that of a priory. It remained an abbey, but poverty beset the canons throughout their history. They suffered particularly when the Scots ravaged Yorkshire in 1315 and at other times of war, receiving frequent remissions of taxes to maintain them. string(511) "High Force is approximately 19 miles from The Inn at Brough and is one of the most spectacular waterfalls in England, located at Forest-in-Teesdale, in the Durham Dales. It is surrounded by stunning countryside, animal and plant life abound in the area including wildflowers, ferns deer and rabbits. It makes an ideal place to start your exploration of Teesdale and the North Pennines. The drive over the moors to Middleton in Teesdale and the waterfall is spectacular with some amazingly beautiful views. High Force is approximately 19 miles from The Inn at Brough and is one of the most spectacular waterfalls in England, located at Forest-in-Teesdale, in the Durham Dales. It is surrounded by stunning countryside, animal and plant life abound in the area including wildflowers, ferns deer and rabbits. It makes an ideal place to start your exploration of Teesdale and the North Pennines. The drive over the moors to Middleton in Teesdale and the waterfall is spectacular with some amazingly beautiful views. string(462) "Brougham Hall, just a mile south of Penrith, Cumbria approximately 20 miles from The Inn at Brough. It was built in the 14th century and has a fascinating history. Rescued from dereliction in 1985, today it is one of the largest country house restoration projects in England and is home to an array of arts and craft workshops and businesses and is well worth combining a visit here with a visit to Brougham Castle nearby and a shopping trip to Penrith. Brougham Hall, just a mile south of Penrith, Cumbria approximately 20 miles from The Inn at Brough. 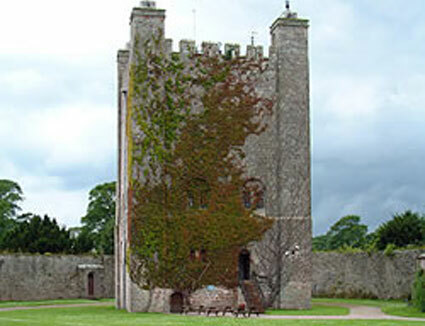 It was built in the 14th century and has a fascinating history. Rescued from dereliction in 1985, today it is one of the largest country house restoration projects in England and is home to an array of arts and craft workshops and businesses and is well worth combining a visit here with a visit to Brougham Castle nearby and a shopping trip to Penrith. string(551) "Brougham Castle is approximately 20 miles from The Inn at Brough just a couple of miles outside Penrith.The site of Brougham Castle has been fortified since the Romans erected the fort of Brocavum at the intersection of three Roman roads. 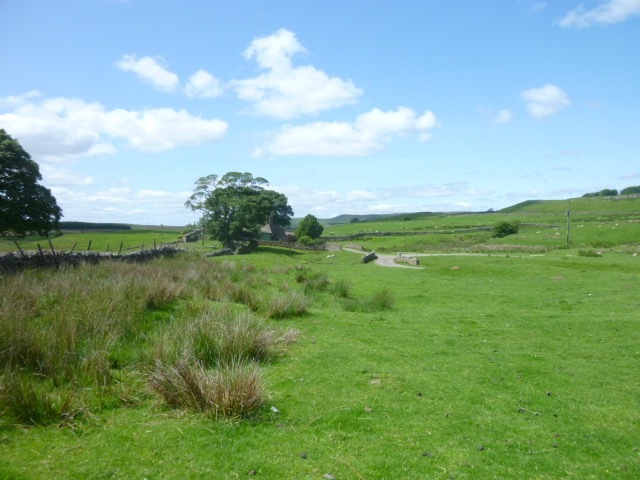 With the rivers Eamont and Lowther flowing nearby and meeting to the west, the site had natural defences. Brougham Castle was founded in In 1203 when the barony of Westmorland – containing Appleby, Brough, and Brougham – was granted to Robert de Vieuxpont by King John. The great keep largely survives. string(116) "Well worth combining a visit here with one to Brougham Hall just nearby and possibly a shopping trip to Penrith. 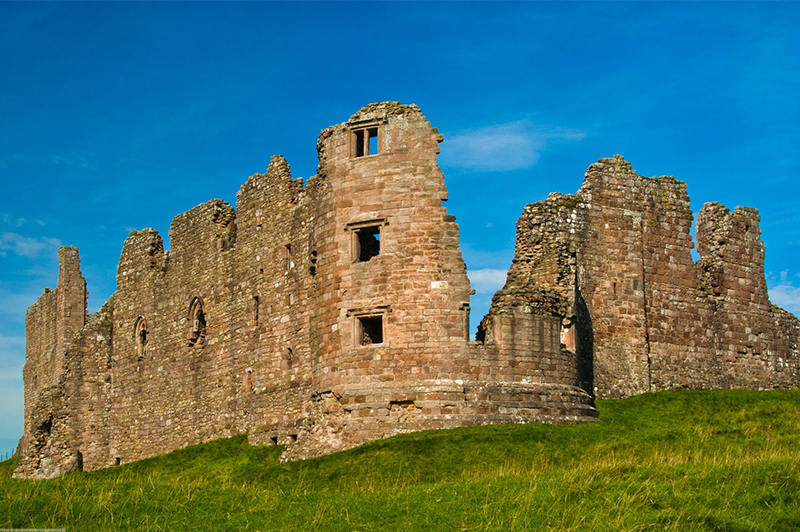 Brougham Castle is approximately 20 miles from The Inn at Brough just a couple of miles outside Penrith.The site of Brougham Castle has been fortified since the Romans erected the fort of Brocavum at the intersection of three Roman roads. With the rivers Eamont and Lowther flowing nearby and meeting to the west, the site had natural defences. Brougham Castle was founded in In 1203 when the barony of Westmorland – containing Appleby, Brough, and Brougham – was granted to Robert de Vieuxpont by King John. The great keep largely survives. string(394) "Penrith is a thriving ancient Market town some 25 miles west of The Inn at Brough west along the A66. It is well worth a visit for shopping and just to wander around its streets and shops. From Brough it makes a fine stopping off place for coffee or shopping. Worth combining with a visit to Brougham Hall and Brougham Castle on the way. Carry on down the A66 to visit the northern lakes. Penrith is a thriving ancient Market town some 25 miles west of The Inn at Brough west along the A66. It is well worth a visit for shopping and just to wander around its streets and shops. From Brough it makes a fine stopping off place for coffee or shopping. 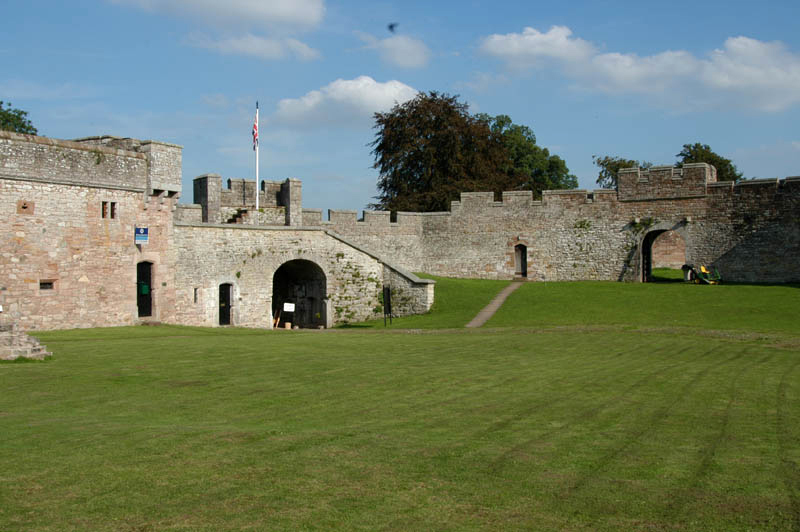 Worth combining with a visit to Brougham Hall and Brougham Castle on the way. Carry on down the A66 to visit the northern lakes. string(550) "Approximately 22 miles from The Inn at Brough, Penrith Castle lies on the outskirts of the town opposite the railway station. Like the town itself it is made entirely of local red sandstone and has a long history. Begun in 1399 by William Strickland, later Bishop of Carlisle and then Archbishop of Canterbury as a defence against Scottish raids. The castle was improved and added to before becoming a royal fortress for Richard, Duke of Gloucester who subsequently became King Richard III in 1483. The ruins that remain date from about then. 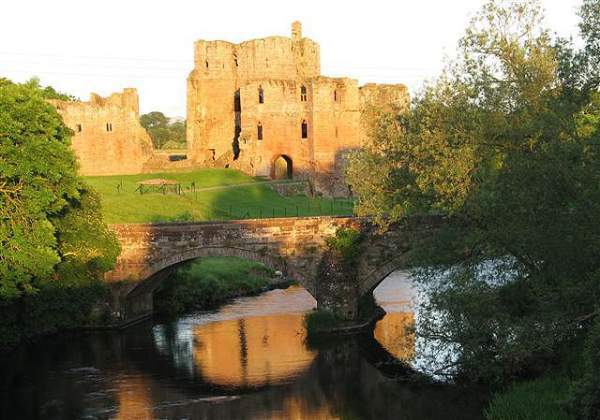 Approximately 22 miles from The Inn at Brough, Penrith Castle lies on the outskirts of the town opposite the railway station. Like the town itself it is made entirely of local red sandstone and has a long history. Begun in 1399 by William Strickland, later Bishop of Carlisle and then Archbishop of Canterbury as a defence against Scottish raids. The castle was improved and added to before becoming a royal fortress for Richard, Duke of Gloucester who subsequently became King Richard III in 1483. The ruins that remain date from about then. string(407) "Lowther Castle is 20 miles from The Inn at Brough down the A66 towards Penrith. It sits in 75,000 acres including a 3,000 acre medieval deer park in the Lake District National Park on a site occupied by the Lowther family for over 800 years. Built in the 16th and 17th centuries it was remodelled by Capability Brown, Richardson and Webb in the 18th and early 19th centuries for the Earls of Lonsdale. string(46) "The Castle and grounds are open every day. 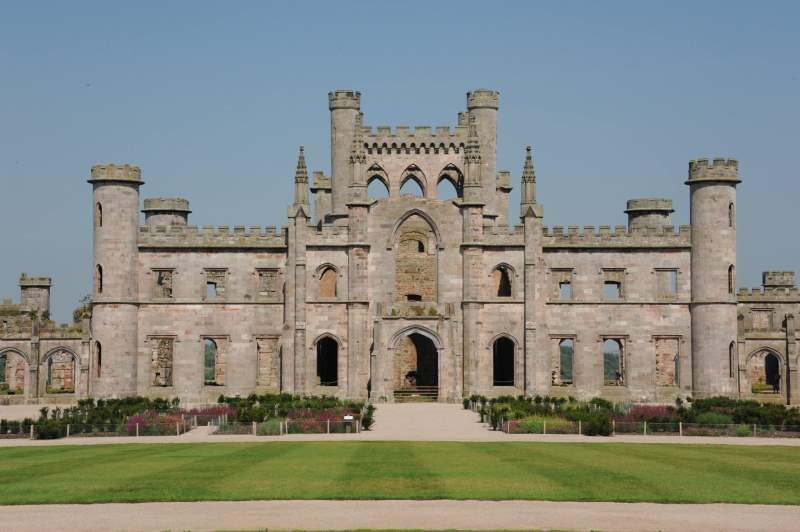 Lowther Castle is 20 miles from The Inn at Brough down the A66 towards Penrith. It sits in 75,000 acres including a 3,000 acre medieval deer park in the Lake District National Park on a site occupied by the Lowther family for over 800 years. Built in the 16th and 17th centuries it was remodelled by Capability Brown, Richardson and Webb in the 18th and early 19th centuries for the Earls of Lonsdale. string(342) "The centre is near Lowther Castle about 20 miles from The Inn at Brough surrounded by unspoilt parkland, visitors are able to see falcons, hawks, eagles, buzzards and owls from this country and abroad. The birds are flown daily from 2pm until 4pm, weather permitting and there is also a lovely vintage tea room with a craft and gift shop. 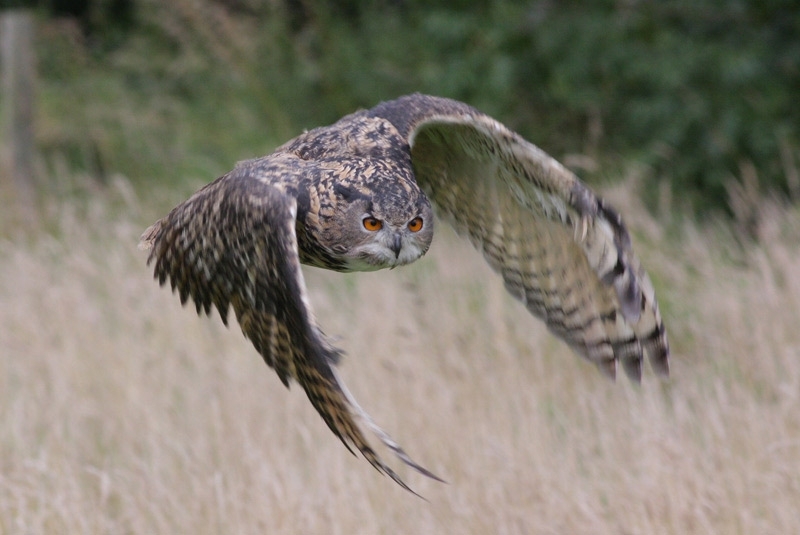 The centre is near Lowther Castle about 20 miles from The Inn at Brough surrounded by unspoilt parkland, visitors are able to see falcons, hawks, eagles, buzzards and owls from this country and abroad. The birds are flown daily from 2pm until 4pm, weather permitting and there is also a lovely vintage tea room with a craft and gift shop. string(592) "Brough stands on the old Stainway which was used from prehistoric times as one of the few passable East to West routes across the Pennines. As a consequence many of the hamlets, villages and towns along its path were fortified by the original inhabitants and then by the Romans, the Normans and later the English. The remains of these fortifications are open in most cases to visitors and represent an amazing history of the area. The castle was owned in the 17th century by Lady Anne Clifford, an amazing lady (see the history pages on our site) for whom our top luxury suite is named. Brough stands on the old Stainway which was used from prehistoric times as one of the few passable East to West routes across the Pennines. As a consequence many of the hamlets, villages and towns along its path were fortified by the original inhabitants and then by the Romans, the Normans and later the English. The remains of these fortifications are open in most cases to visitors and represent an amazing history of the area. The castle was owned in the 17th century by Lady Anne Clifford, an amazing lady (see the history pages on our site) for whom our top luxury suite is named.